The Eleventh Circuit Court of Appeals confirmed in the appeals case of Patrick Hurley v. Kent of Naples, Inc. that in order to be protected by the Family and Medical Leave Act (FMLA), an employee must clearly request time away from work for an FMLA-qualifying leave. Patrick Hurley, the plaintiff, indicated that he was fired in 2008 after he requested 11 weeks of vacation time over the course of two years to deal with his depression. After Hurley was fired (for “insubordination and poor performance”) he obtained an FMLA form from his doctor. The form indicated that Hurley was being treated for depression. Hurley then sued Kent of Naples Inc alleging that his employer interfered with his FMLA rights by denying his vacation leave request and terminating him. Regardless, the jury ruled in Hurley’s favor; awarding him more than $1 million in damages and attorneys’ fees. Kent of Naples appealed the decision – and won. On appeal, Kent of Naples Inc argued that Hurley’s requested leave did not qualify for FMLA protection to which the plaintiff responded that he needed only to “potentially qualify” for FMLA leave in order to file an interference claim against his employer. The panel also noted that Hurley did not request leave because he was incapacitated or unable to work. He requested vacation time. Therefore, Hurley failed to prove that his leave request qualified under the FMLA. “Determining whether an employee actually qualifies for leave is a process. When an employee gives the employer notice of a need for leave that is potentially FMLA-qualifying, it is the employer’s legal responsibility to determine whether the FMLA actually applies. If the employer makes a mistake, it can be liable for interference (wrongful denial of FMLA leave). If the employee requesting FMLA leave is subjected to adverse employment action, such as discipline or termination, the employer can be liable for retaliation. 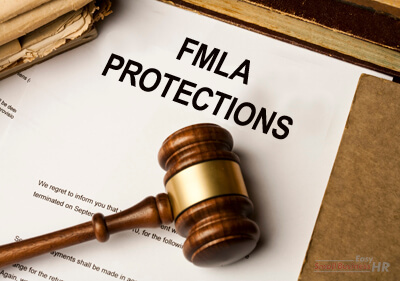 As the Hurley case demonstrates, an employer can (eventually) win an FMLA case even if it denies the requested leave without using the certification process. However, using the certification process as a proactive step of due diligence may help to mitigate any misunderstanding in these cases.